Running a business can be one of the most exciting and rewarding experiences of your life. It can also be one of the worst experiences if you’re not careful. If you are serious about running a successful business that will last for years to come, avoid these 6 common mistakes that have been the downfall of many companies before you. 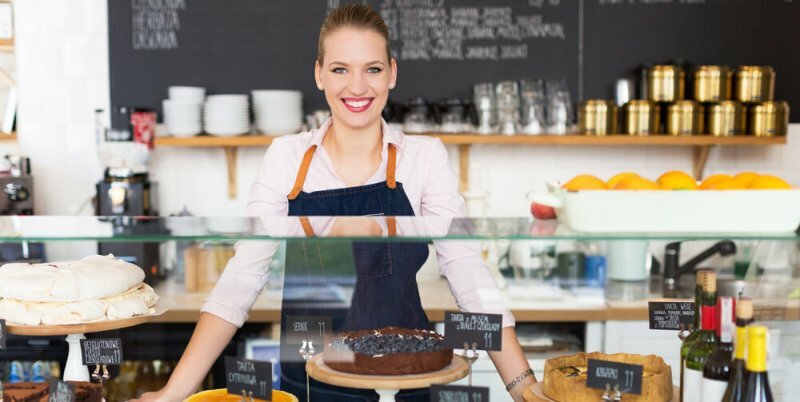 You can’t just wake up one day and say, “I think I’ll start a business.” You may have always dreamed of running this business, but if you want your business to be successful, you need to have a very solid plan of attack. Things won’t just work themselves out magically. How many people do you intend to hire? What is your marketing plan? Do you have accounting skills or do you need to hire someone for that? Who will be your suppliers? What is your pricing strategy? If you intend to get a startup loan, what are your plans for the funds? Don’t just do something because you’ve heard it’s a good idea. Successful business owners get where they are because they’ve taken the time to plan out everything about their business. They make decisions based on what will be best for their business and no one else’s. Do things with purpose. Make decisions based on research and data, not worth of mouth or assumptions. Industry experience is not the same as business experience. If you absolutely love working out and you go to the gym every day, that doesn’t mean you will automatically be great at running a gym. There is a lot more that goes into running a business even in an industry you feel you know pretty well. This goes back to having a solid plan. If your dream is to run a gym because exercising is your favorite thing to, great! But realize that you won’t be enjoying the facility 24/7. You have a business to run. You’ll need to manage the upkeep. If you want to be open 24 hours a day, you’ll need to hire staff to fill all open hours. When something breaks, you are responsible for fixing it. If you’re requiring contracts with membership, you need to involve an attorney to make sure you’ve got a good and legal contract drawn up. It’s great to open a business in an an industry you already love; just make sure you are prepared to take on all that comes with the business side of things. It’s okay to delegate. In fact, it is highly recommended to do so. You may feel you have all the necessary skills to run a business, and you might. But even if you’re a pro in sales, marketing, accounting, and design, that still doesn’t mean you should be doing all of it. No matter how many skills you have, if you try to do too much, both you and your business will suffer. A successful business hinges on the ability to let go a little bit and delegate some of the tasks. If you want your business to keep that upward trajectory, start utilizing the expertise of others. Choose your team based on talent, not relations. You can’t just choose your best friend to help run your business because “it would be fun to work together.” If you are serious about running a successful business, you need to choose your team wisely, based on talent – not friendship. If your friend John has never used Excel, he’s not going to be your best option to use for keeping accurate spreadsheets of data. What you absolutely can do though is utilize those friendships and connections to help you find the right people for the job. Things do not have to be perfect for you to open your doors. If you wait to start selling your product(s) until you feel that they are 100% perfect, you will never sell any products and probably go under before you even begin. Even the most successful of businesses go through iterations of products after they’re released. You don’t have to get it 100% right on the first try. You just need it to be good enough where people will be willing to buy it and try it out. Most people expect that the first version will not be the final or best version. If you’re concerned about a mass release, consider a test program to get feedback from a small group before your first release. If you’re running a retail store, you may not have products that need to go through iterations, but maybe you feel like your store itself needs to look perfect. While you definitely want it to look nice and inviting, this also does not need perfection. We are our own worst critics. Odds are, even if you feel it is only “good enough”, most others will think it looks great. And if you want to keep improving the look and feel of your store, solicit feedback from some of your customers on things they would like to see. You need to know the laws and things you’ll be liable for. This is especially true if you’re a brand new entrepreneur. Running a successful business means you are willing to lean on the expertise of others. You can’t be a one-man-show. If your business involves contracts of any kind, don’t assume a Google search and some contract templates will suffice. There are many reasons you should consult an attorney and it’s important to know when you need to involve one. We know money is tight in a small business, but trying to save money on attorney fees in the beginning will end up costing you a lot more in mistakes made because you weren’t willing to invest in drawing up the right documents from the start. Once you have decided it’s worth the investment, don’t just go with the cheapest lawyer you can find, either. Just because they have the credentials doesn’t mean they’re the best choice for the business and its needs. Do they have an experience working with people in your industry? Do they understand the space? What’s their track record like? Is there a way to look up reviews and his/her success stories? You get what you pay for and sometimes it’s worth it to spend $400/hr now in order to avoid a $20,000 mistake later. The biggest thing to remember is that you don’t have to run the whole show. Even the most successful businessmen have advisors. When you’re starting out, you don’t have to go by trial and error and hope something sticks. If you are having difficulty putting together a solid plan, find a mentor or someone who is willing to coach you through the process. Running a successful business means knowing when you are stretched too thin and having the courage to reach out and ask for help. Go into it with a plan and a resolve to do what it takes and you will find success.